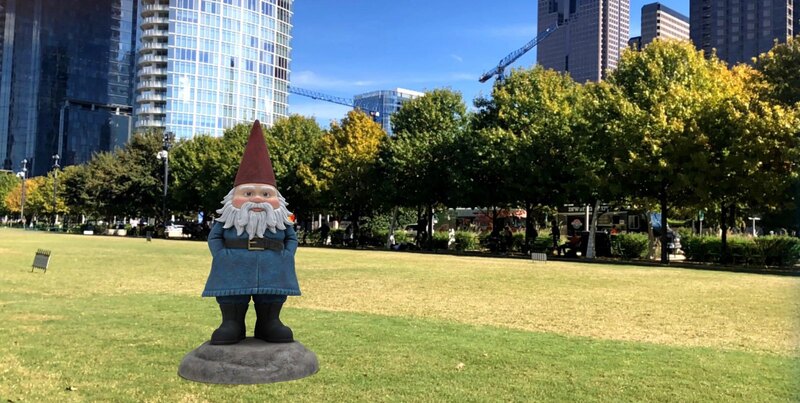 Dallas-based Travelocity's AR allows you to capture the Gnome from anywhere in the world. We tested the tech for ourselves, and took him on a mini photo tour around our downtown HQ. But, the little guy isn’t just for pics — sharing Gnome content through Nov. 18 could win you a trip to Mexico. Whether on the beach, in the mountains, or miles from the nearest cell tower, Dallas-headquartered Travelocity is using an augmented reality mobile app to make one of the most memorable aspects of travel — taking vacation photos — more exciting. 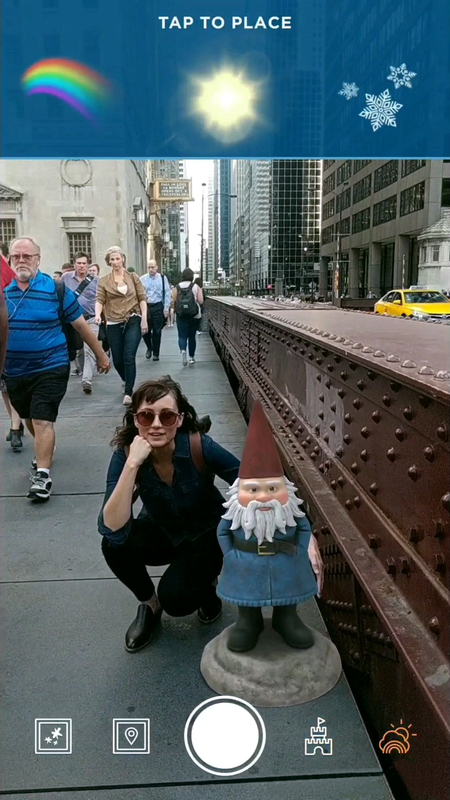 The recently unveiled technology now allows travelers to take photos alongside the Travelocity Roaming Gnome, which uses AR to drop into your mobile phone’s frame, along with a host of other plugins like weather filters, 3D props, sound effects, geotags, and photo frames. There’s good news for travelers stranded without mobile service, too. 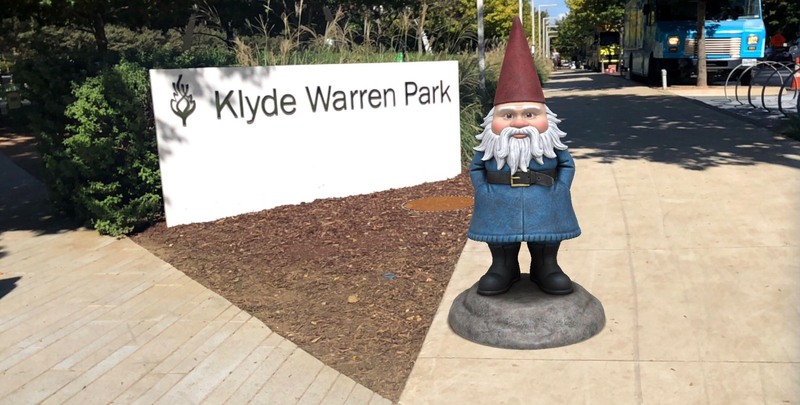 The AR plugin works even without a Wi-Fi connection or cellular data access, meaning app users can save and share Roaming Gnome photos and videos to their phone or favorite social platforms. 60 percent of travelers and 97 percent of millennials share photos on social media while traveling, Travelocity said in a release. To welcome the gnome into travel photos, users must download the app and allow camera and microphone permissions. Once inside the application, simply tap the gnome icon in the bottom left corner and follow the on-screen instructions to place the little guy in a photo or video. Krista McDougal, general manager for the Travelocity brand, said the AR experience arrived just in time for travelers to try the experience ahead of the busy holiday travel season. And the gnome isn’t alone, as Travelocity isn’t the sole Expedia Group Brand experimenting with new technologies. The AR feature launched on the heels of two new developments from earlier this month, including a voice-enabled Action for the Google Assistant and second virtual reality experience from ExpediaLabs. The VR, specifically, allows users to tour Seattle’s Space Needle or a Mexican cenote with the help of a virtual reality helmet. 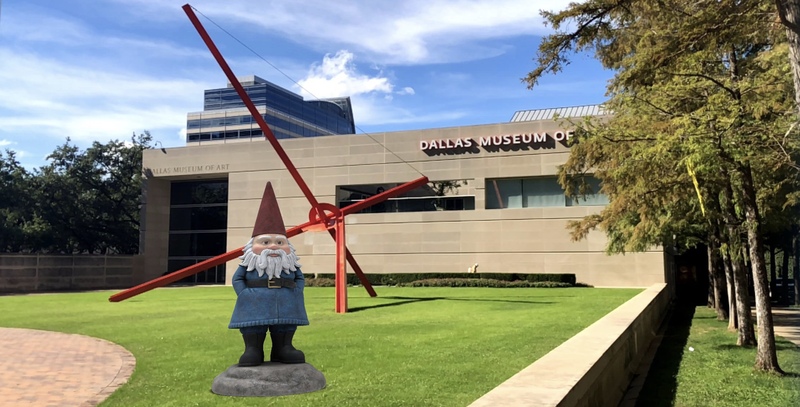 But, the Gnome isn’t just for upgrading your pictures — the brand is hosting a sweepstakes on the Travelocity and RoamingGnome Instagram accounts to engage travelers using the AR experience. Sharing photos or videos through Nov. 18 of The Roaming Gnome with the hashtags #RoamLocal and #Sweepstakes will be enter you into a drawing for a five-night stay at Live Aqua Resorts in Cancun, Mexico. 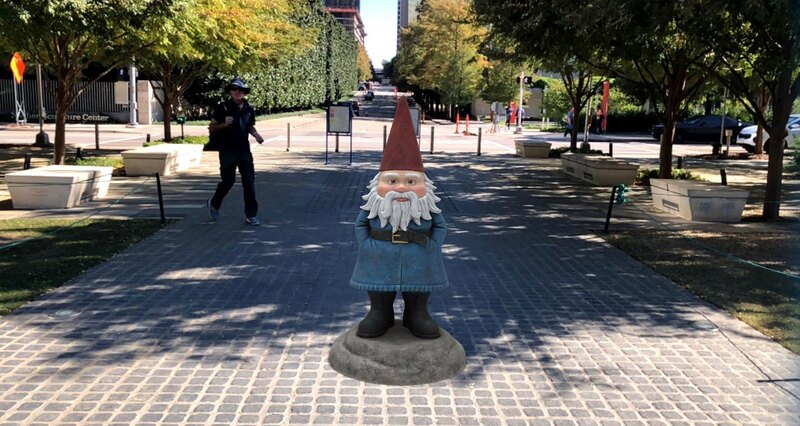 We decided to try out the new augmented reality feature for ourselves, so we downloaded the Travelocity app and took the Roaming Gnome for an adventure around downtown Dallas (in our little mile radius around our St. Paul Street building, that is). All photos taken by Payton Potter.